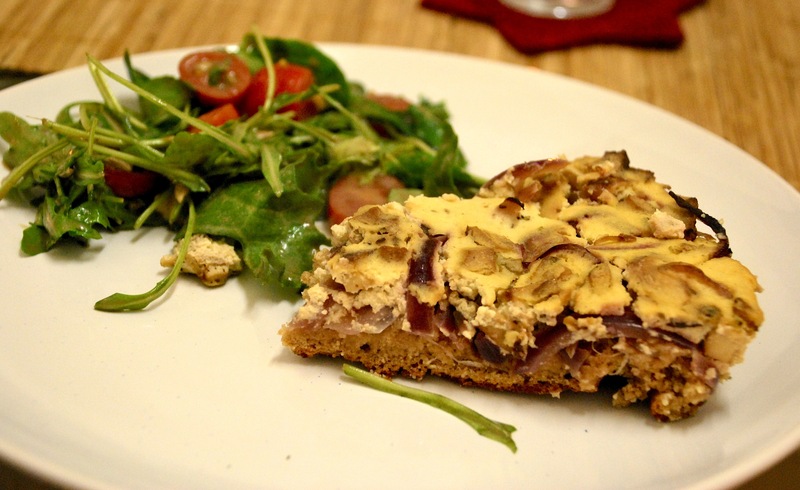 Zwiebelkuchen – traditional German onion tart in a vegan & healthy version | vegänsch. 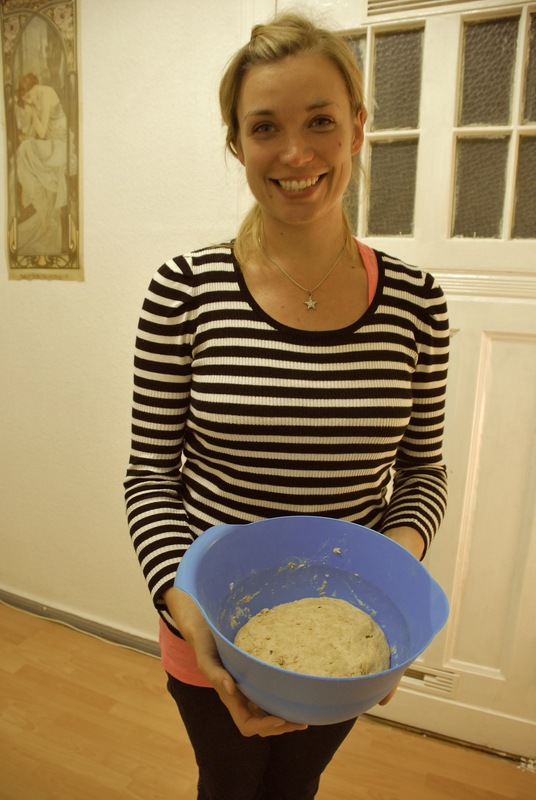 First, prepare a yeast dough: Put the flour in a bowl and form a little pit in the middle. Grind the yeast cube with your fingers over the pit. Sprinkle sugar over, add some water to the pit and let sit for about three minutes. Meanwhile, you can get the ingredients for the filling out ; ) Now add the rest of the water, oil and salt to the dough and mix with your hands until you have an even ball. It shouldn’t be super dry nor sticky, Joanna (< on the left) said the dough should feel like an earlobe ; ) Cover the bowl with a tea towel and let sit for at least half an hour, preferably in a warm place such as on a radiator, in the sun or in the oven (not over 50° C though). In the meantime, cut the onions in rings and heat a big pan on the stove. Fry the onions slowly until they are tender and soft. 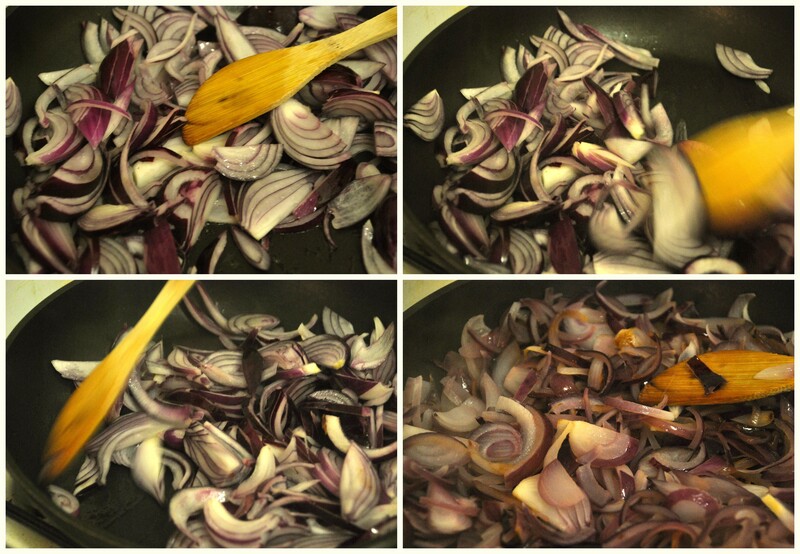 While the onions are caramelising, prepare the sauce. Mix the plain tofu, soy-yoghurt, plant milk, oil, nutritional yeast and vinegar/lemon juice in a bowl with a hand blender. You should mix for a few minutes and lift the blender up and down to get some air in the sauce and make it light and creamy. 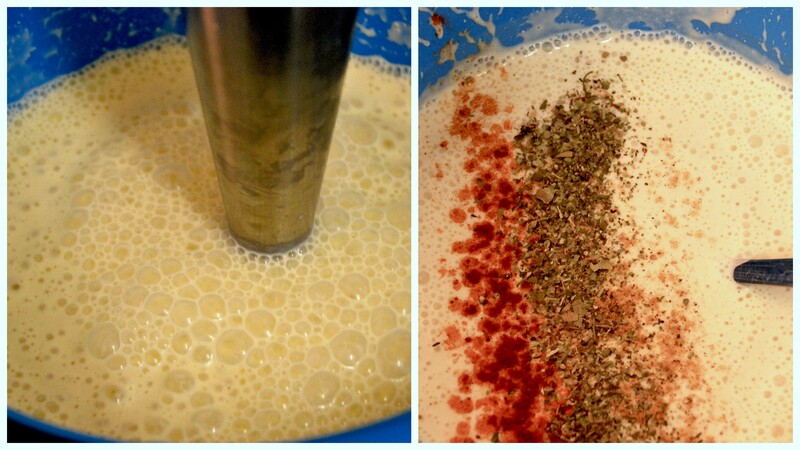 Season with nutmeg, herbs, paprika, salt and pepper. 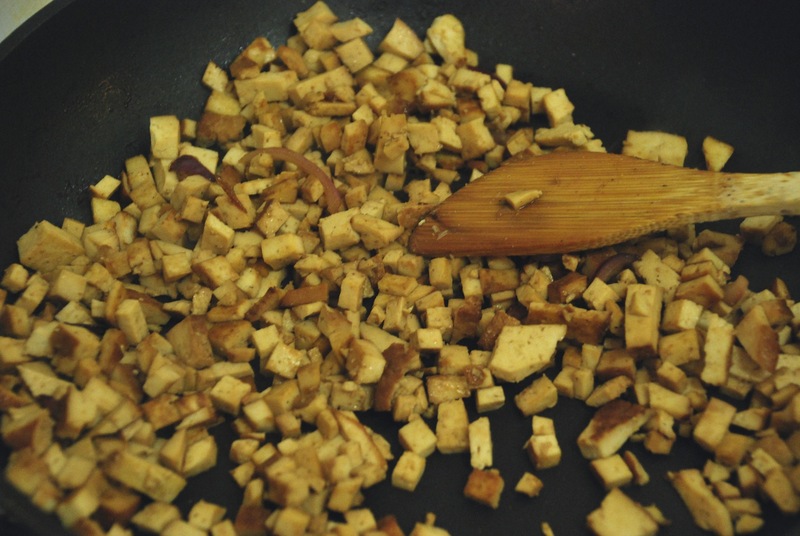 Now cut the smoked tofu into small cubes and fry in a pan. I know it’s not the most beautiful gif you’ve ever seen, but it’s my first, and gifs are so much fun! 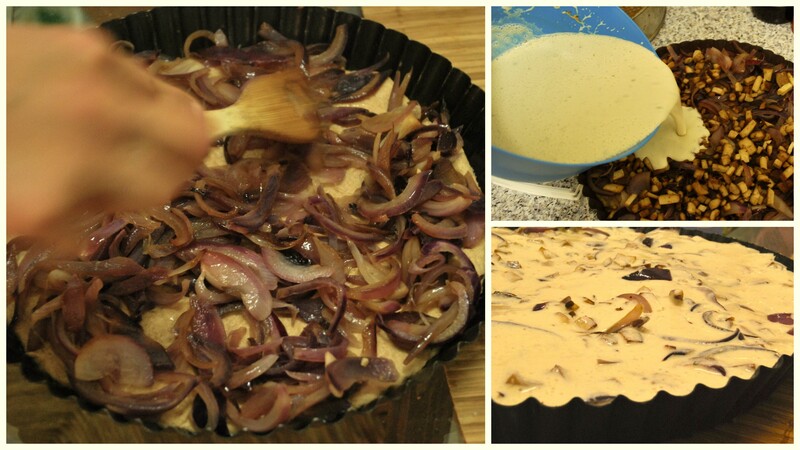 So you’ll see more of them soon ; ) Top the dough with the onions, smoked tofu and sauce. Pop the tart in the oven for about 30 to 35 minutes until golden, slightly crispy but still soft inside. 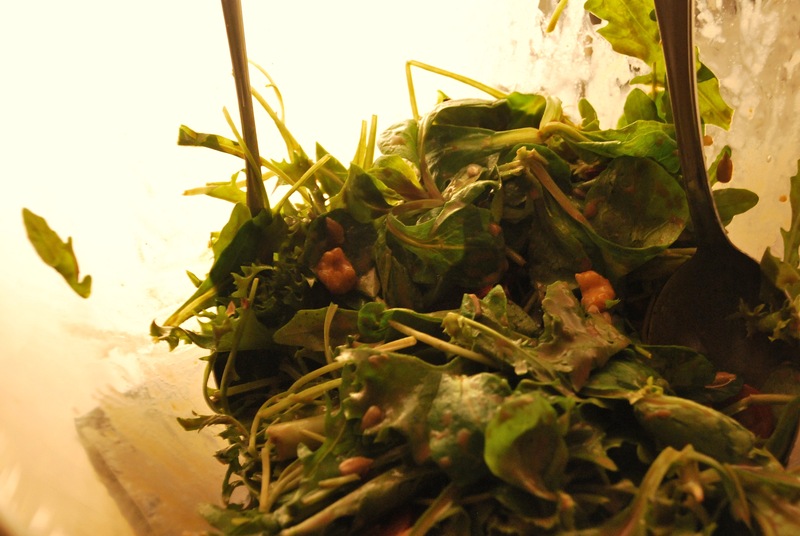 While it baked, we prepared a salad from rocket (rucola), tomatoes, walnuts and a homemade mustard-vinaigrette. 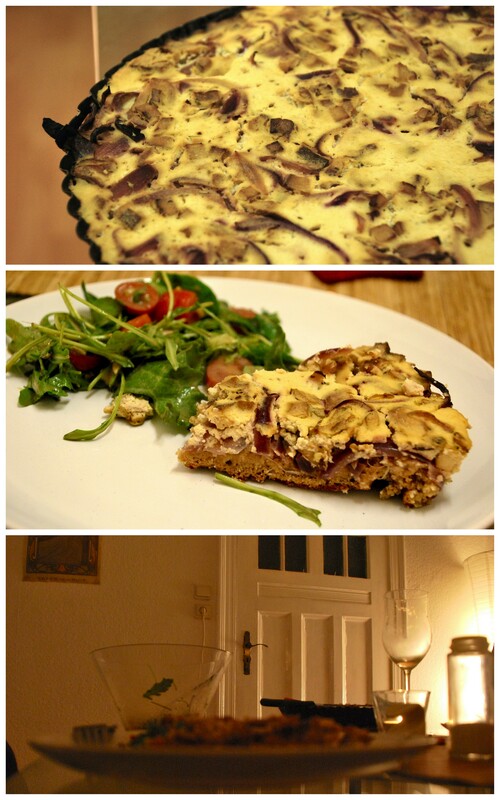 Guten Appetit and a wonderful golden autumn to you! Yummy! Irgendwie bin ich noch nie dazu gekommen, Zwiebelkuchen zu backen! Das werde ich jetzt auf jeden Fall mal ausprobieren :) Danke für das tolle Rezept! Pingback: Two-kinds-of-Potato’n’Pumpkin Soup | vegänsch.